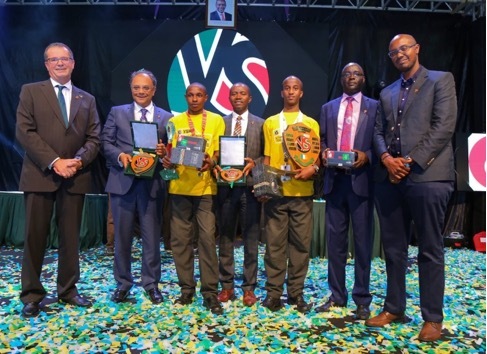 Nairobi, Kenya— Students from 80 schools across ten counties showcased their scientific knowledge and innovation at the 2018 National Science and Technology Exhibition organized by Young Scientists Kenya (YSK) with the support of Global Peace Foundation (GPF) Kenya on July 5-6. In Kenya, GPF has partnered with the government and community leaders, universities, corporates, principals, teachers, parents and students to empower school-aged youth with essential character, creativity and leadership competencies sought by 21st century employers. 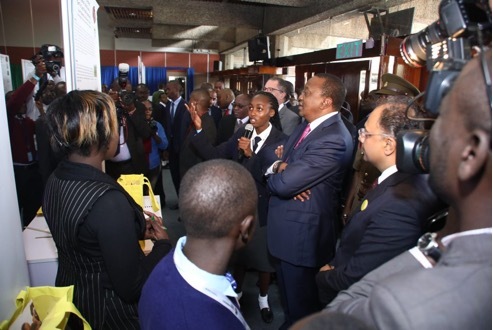 Community leaders, NGOs, and government representatives, including Kenyan President Uhuru Kenyatta, attended the exhibition. Over ninety projects demonstrated innovative solutions to four fields: Social and Behavioural Science, Biology and Ecological Sciences, Chemical Physical and Mathematical Sciences, and Technology. During the public exhibition, students had the opportunity to interact and explain their creative projects to peers and community leaders. The Character & Creativity Initiative (CCI) is a groundbreaking program implemented by GPF Kenya to bring together stakeholders to deliver a positive impact on social issues and combat negative global trends in youth unemployment. Schools implementing CCI have demonstrated significant improvements in student character and academic performance, as well as lower discipline cases, resulting in a positive school culture according to the Kenya Institute of Public Policy Research and Analysis Research report. To date, GPF runs the CCI across 41 schools in 10 counties. Learn more and sign up for monthly newsletters for the latest from GPF.